There is no question that Mega Man is one of the most iconic characters in the history of video games, deserving of a place in the highest echelon, alongside Mario, Link, and Sonic the NoLongerRelevant. His quiet and heroic demeanor, slick blue suit, and awesome weapon acquisition method all contribute to his status as the very best. 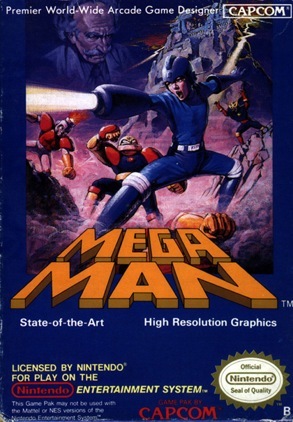 The structure of Mega Man games pretty much remains unchanged from the first installment – Mega Man fights his way through a series of stages in any order, defeating Robot Masters and taking their powers, then battles the evil Dr. Wily across multi-level final dungeon (WITH AWESOME MUSIC), and saving the day. It’s a comforting and familiar formula, like Pringles “potato chips;” they all look the same, taste the same, and when you finish one, you immediately want another.